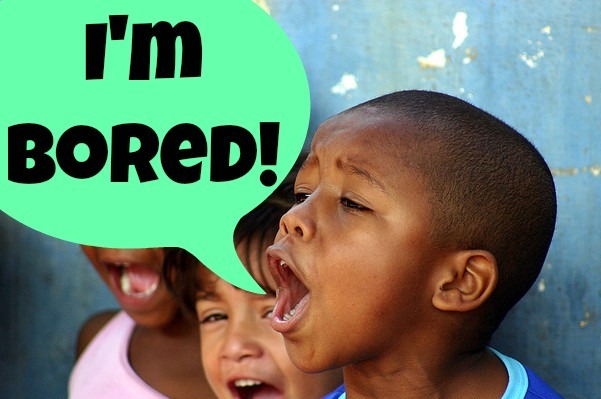 Kids being bored builds Independence! Alone time= Learning to be independent: The time a child is bored is usually the the time he/she feels that they need adults to create entertainment or activities for them. It leads to certain dependence and more clinging to parents. The opportunity to spend some time alone and be bored leads to making independent choices. They learn to rely on their own skills and come up with their own plans. The confidence of doing things on their own lays foundation to an independent personality which is our goal at Urban Montessori Academy. Creativity: When bored, they learn to invent games from their given resources and children could get quite creative with it. When the adults stop making constant effort to appease them then they learn to find games on their own. Being creative is the most effective training we could give to a child. The most original games were produced by bored children(It is not a fact but we believe it should be). Mindfulness: Children are facing constant influx of ideas, opinion and suggestions. Somewhere it quietens their inner voice. Sometime, we need to bar all those external noises and let them hear their inner voice. The children who learn to enjoy their own company grow up to be emotionally intelligent and peaceful people. They learn to be complacent and enjoy the absolute beauty of surroundings. It also helps them in developing patience and endurance and fighting anxiety. They come to know that there are no instant solutions in life. Decision making power: When you create distance from the child for a little time and let him make choices on his own then it leaves a profound effect on his personality. He knows he is bored and he has certain resources at hand. So, He will start using his own decision making power and choose his activity. The exercise of choice is our biggest achievement. When we as an adult, don’t have to tell them for a while what to do but observe in an unfeeling way is an amazing experience. They learn to choose their activity, create their own activity and also form their own team. It equips them with the decision making skill. We care about your opinions. Try to be as descriptive as possible below, we want to get to know you. What characteristics are most important to you when choosing a school? What Social/Academic/Emotional/Other Goals do you have for your child’s development? What parenting resources/groups do you regularly connect with to get information, ask questions, socialize with other parents, etc? In order to create articles and social media content that matters to you, What challenges, questions, tips, joyful moments, and ideas would impact you? Please contact me for a tour/visit. Want to be included in our Email Newsletters Think we are cool and just want to be our friend.